Robert A. Olson – Rob grew up in the auction business selling antiques, fine furniture, and estates learning the auction business from his father Tom Olson. He started working in his Antique Auction Gallery in Murray over 40 years ago. Since then he has sold nation wide for the U.S Customs Service, Secret Service, Government Services Administration, F.B.I, and the U.S. Marshals, Immigration Customs and Enforcement (ICE) agency. He is an instructor at the prestigious Missouri Auction School and the Certified Appraisers Guild of America(C.A.G.A.). He has been the sole owner of Erkelens & Olson for approximately 10 years. Rob Olson is famous for his great auction chant. He has truly sold anything and everything in his career. 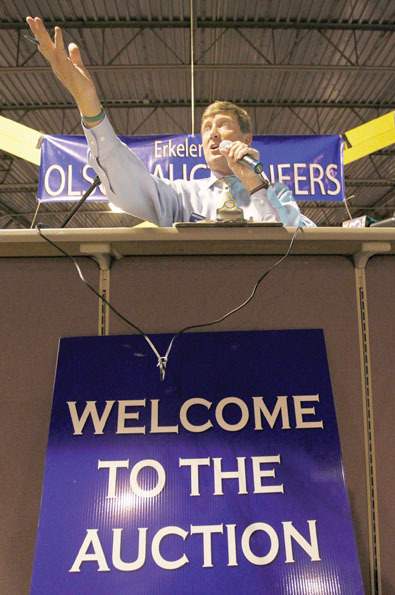 Robert T. Olson – Robert represents the Third Generation in the Auction business. He graduated from Missouri Auction School in 2002 and later attended the University of Utah graduating in 2008 with a degree in Psychology. He is also a C.A.G.A Certified Appraiser. He has auctioned in many different states and is starting to gain a reputation with his high energy auctioning at Charity Auctions. 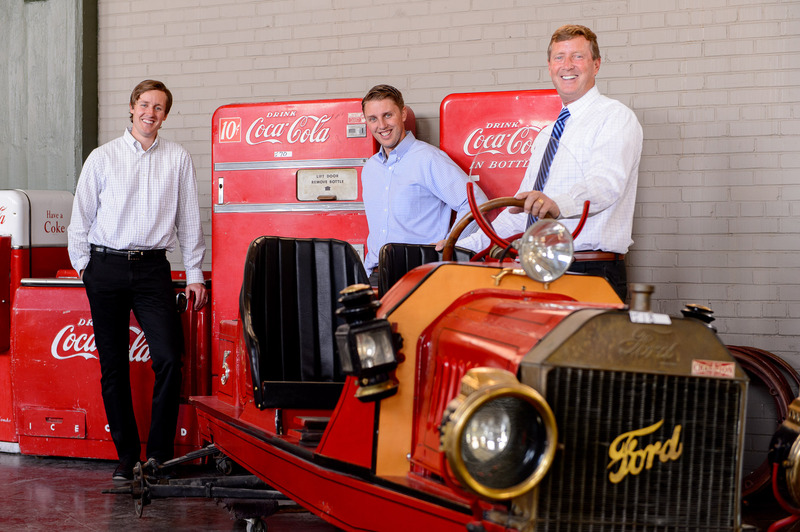 He and his team have been known to set records at the events they work. He is known around the office as the Professional. David A. Olson – Head C.A.G.A. appraiser for Erkelens & Olson and in charge of marketing and promoting upcoming sales. Runs the auction system during auctions, helps spot bids and calls auctions. Graduated from the Missouri Auction School in 2008. Works with Federal Bankruptcy Trustees assitants in helping items that are seized from the court get ready for auction. Graduated from the University of Utah in 2011. Vic – All you need to know about Vic is that he’s been with us 50+ years and he’s forgotten more about the Auction business than most people will ever know.